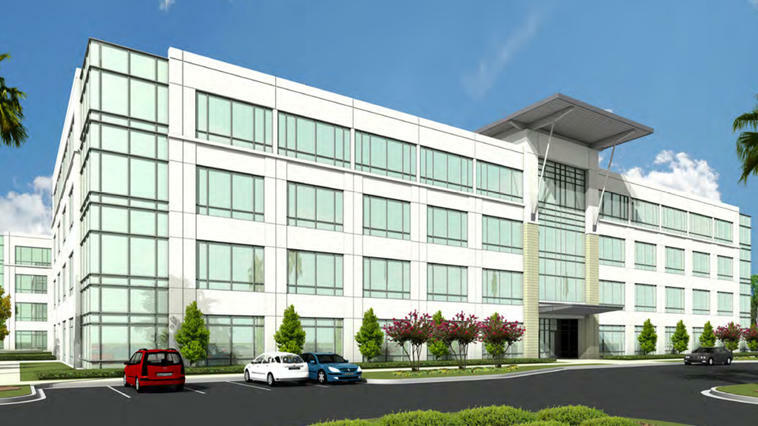 A rendering of the proposed Park Place office building in Nocatee. VanTrust Real Estate LLC is preparing to build the first Park Place office building toward its eventual 675,000-square-foot, 60-acre business park in Nocatee. VanTrust estimates an investment of more than $30 million in the first building, according to our Jacksonville Daily Record news partner. The city issued a conditional capacity availability statement for the building on 10.51 acres along Nocatee Parkway. John Carey, executive vice president of VanTrust Real Estate, said the first four-story, 125,000-square-foot building, called Park Place One, is in design and construction should start in the first quarter. The capacity statement means the development reserves capacities for its impact on public facilities such as schools, recreation, transportation and others. England-Thims & Miller Inc. is the civil engineer. VTC Jacksonville Office Park Development LLC of Kansas City, Missouri, is the property owner. Brasfield & Gorrie is the contractor. 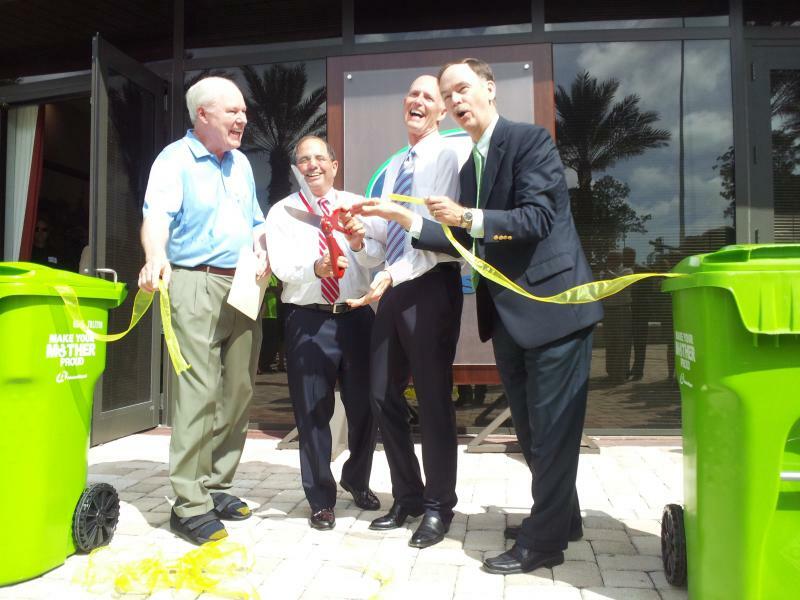 The site is along Cross Town Parkway off Nocatee Parkway in Duval County, just north of St. Johns County. Van Trust is marketing the building for lease. It should be completed in fall 2019. “We are working with numerous prospects although none have signed,” Carey said. He said some prospects would take the entire building. The full park is designed for five buildings, but Carey said that will evolve. “We can provide a multiple building ‘campus’ for a large user,” he said. 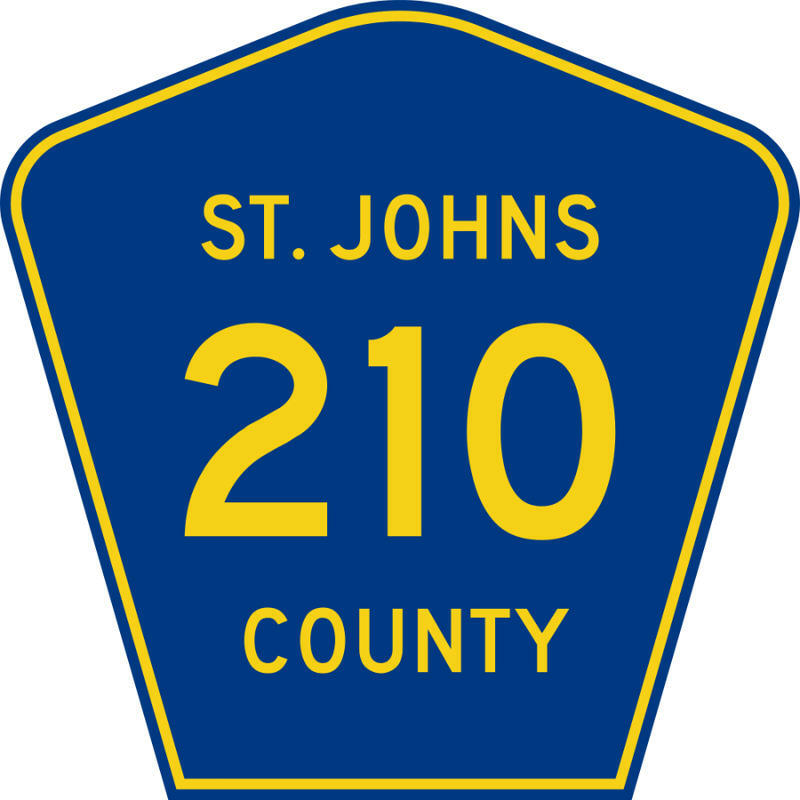 A new overpass on St. Johns County Road 210 opened to the public Tuesday.